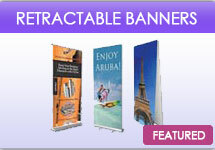 Trade show displays are going to be an important part of any trade show experience. 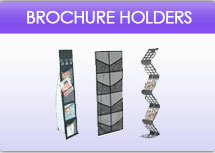 When you have the right displays on hand, people will view your company as being one that they can trust. 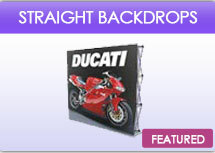 Additionally, these displays will have the ability to draw attention from onlooker. 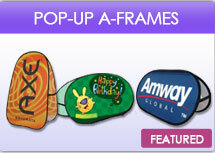 It will be important that for your trade show displays, that you do have the top items to attract potential customers. 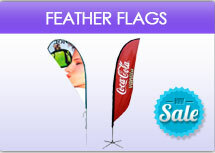 This will include having retractable banner stands that allow you to quickly put up and down banners that promote certain items and sales, without having to leave them up at all time. 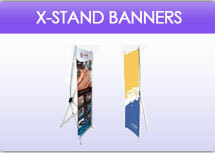 In turn, standing banner stands are going to be important for those who want to have localized banners that will promote a section of items that are laid out on the promotional tables. Remember, the cleaner and more concise your layout is, the more likely it will be that people will drop by to learn more about you and your company. 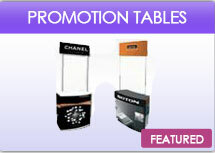 When you do business with us, we ensure that all your displays and accessories are top notch and deliver. 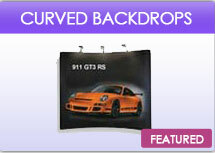 When you need to add some depth and character to your booth, the pop up trade show displays can be a great option. These displays are designed as the name suggests, to pop up and offers a display area behind your table at the rear of the booth. 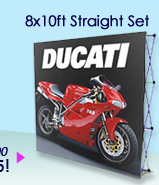 They act as a wall or divider and all your area to become more personal, while offering additional wall space that can be used to put up pictures and additional displays. As part of our commitment to you, we will deliver high quality and dependable pop-up trade show displays you can count on. 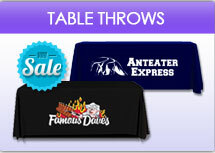 While the signs and displays are important, you will also find that your trade show accessories are critical. You will need tables, chairs and other items that help your space to pop and to encourage people to drop on by. 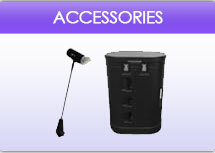 With the right high quality accessories in place, people will take your trade show space very seriously. 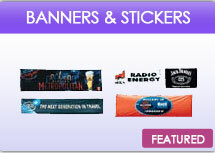 We offer the best in-house printed signs you will find. 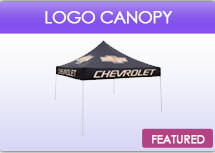 We can handle a simple company logo or design a sign that will meet your needs. 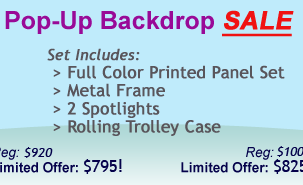 Take a moment to contact us and we can go over all the options that you will have for your signs. We do everything we can for our customers. We take a vested interest in the success of your event and we will do all we can to make the experience a positive one for you. If you have any questions, you can always contact us by phone or e-mail. We are here for you. If there is ever a problem, we will work quickly with you to rectify the matter as quickly as possible, in a professional manner. As soon as we receive your order, we begin to work on it. That way, there is a minimal delay on your end to get your final project. In today’s world, we understand how critical speed is when you need an item and we will do everything in our power to make it happen. We pride ourselves in being one of the fastest companies that delivers high quality work each time. Contact us today about the project you need and together we will create something amazing.